A recent check on the progress of the road being built to the Amaila Falls Hydropower Project (AFHP) site by President Donald Ramotar on Monday has highlighted a number of challenges that have to be overcome for its June deadline. 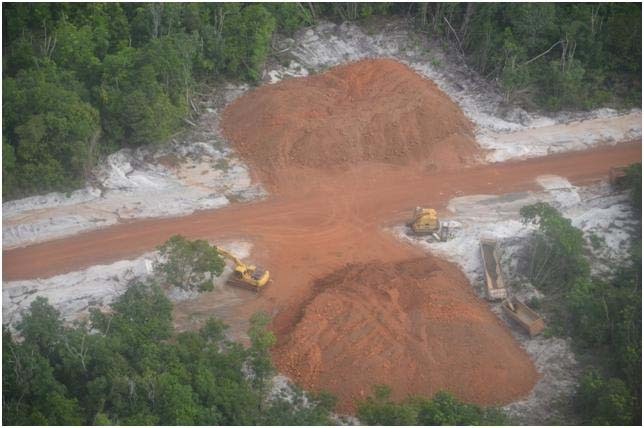 A Government Informa-tion Agency (GINA) press release said Ramotar, Minister of Public Works Robeson Benn and Technical Consultant Walter Willis flew to the area to inspect infrastructure from the Mabura trail to the Essequibo River. The team descended at Butukari to inspect the river crossing conditions before flying over the Kuribrong River into an area Benn described as one of concern which grants physical access to the falls. Fair weather and low water levels….